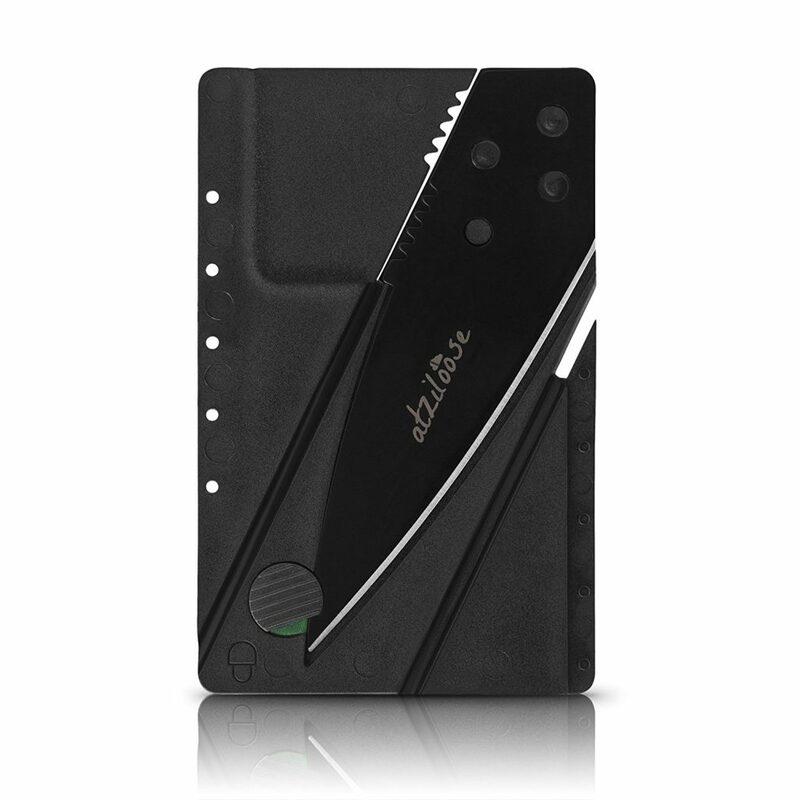 The Atziloose folding credit card sized folding knife, fits in your wallet like a credit card, super light weight. With 3 easy folds the card turns into a handel with a knife blade. Have you ever been in that random situation when you just needed to cut something? Clothes tag making you itch? Cut a fresh fruit off a tree? Cut your cheeseburger in half? The Atziloose Folding Credit Card Pocket Knife fills that void. With its small credit card size, it makes for the perfect every day carry. 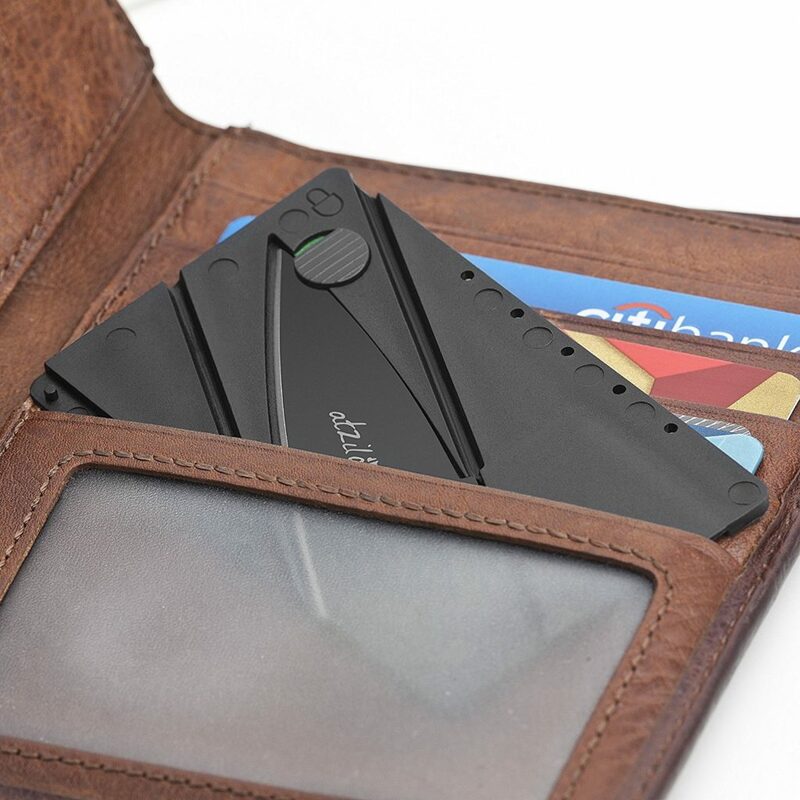 Credit card sized folding knife, fits in your wallet like a credit card, super light weight. Stainless steel blade ensures the sharpeness will last a long time. great stocking stuffers for employees christmas gifts. Extremley light weight and classy, making it the perfect gadget for anyone man or women. With 3 easy folds the card turns into a handel with a knife blade. Great for every day use like box cutting or for adventures like hiking and camping. Perfect gifts for dad are hard to find. Our items make the best dad gifts. Also makes a great birthday present, Valentine’s gift, Christmas present, Father’s Day present, graduation present, anniversary present or just because! Dad gifts from daughter are especially treasured, give dad something he will love! This credit card knife is super light and sharp it is the same size as your credit card, making it the perfect size to fit directly into your wallet. 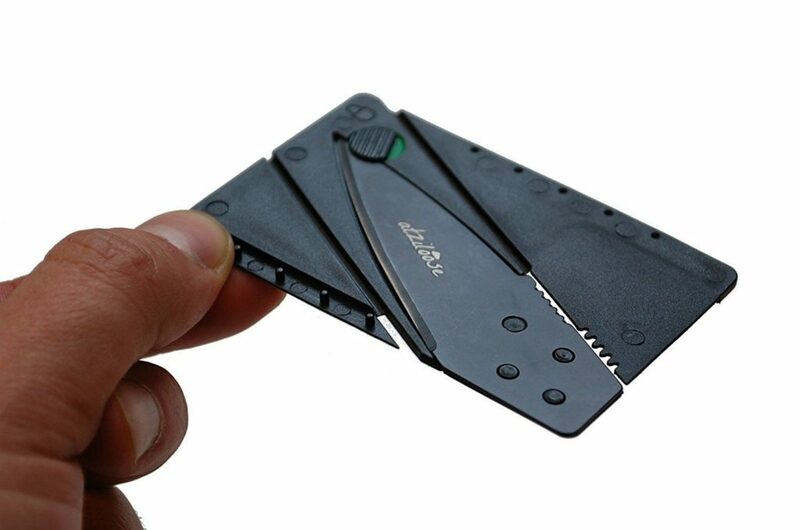 Just three simple folding operations transform this card into an elegant pocket knife utility tool. Slimmer and lighter than an ordinary knife made from plastic with a stainless steel blade to ensure its long lasting durability. This knife also has a unique safety feature which when in the lock positions ensures that the blade will not open in your pocket or your draw making it child proof.